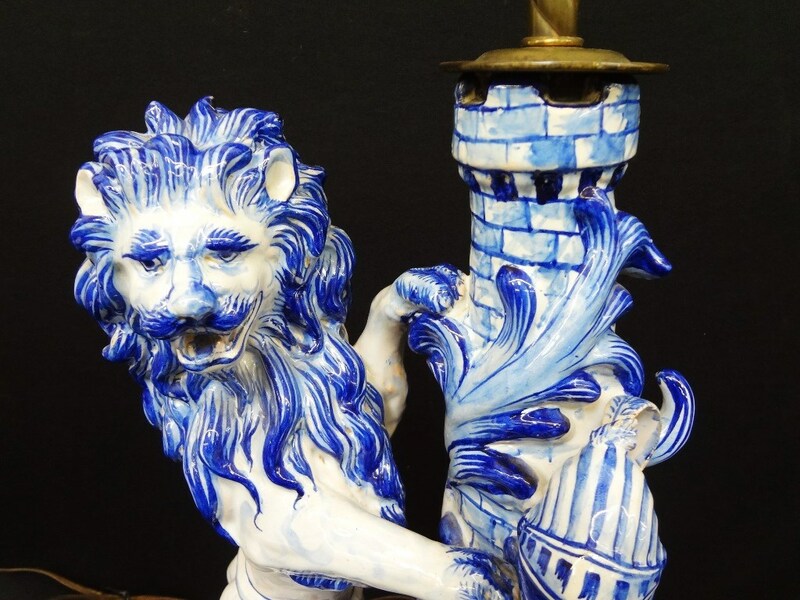 Galle St. Clement Faience 19th Century Lamp: Lion with Castle Blue and White: A gorgeous French Faience St. Clement Lamp. 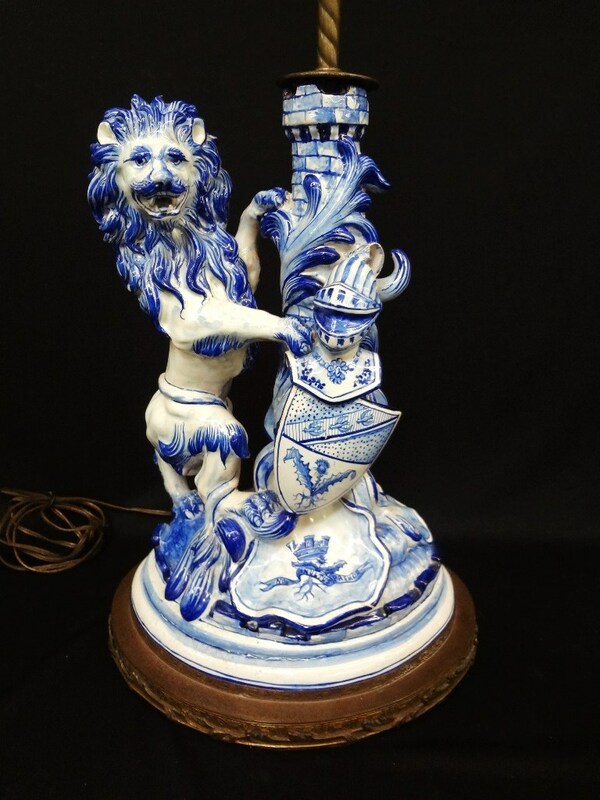 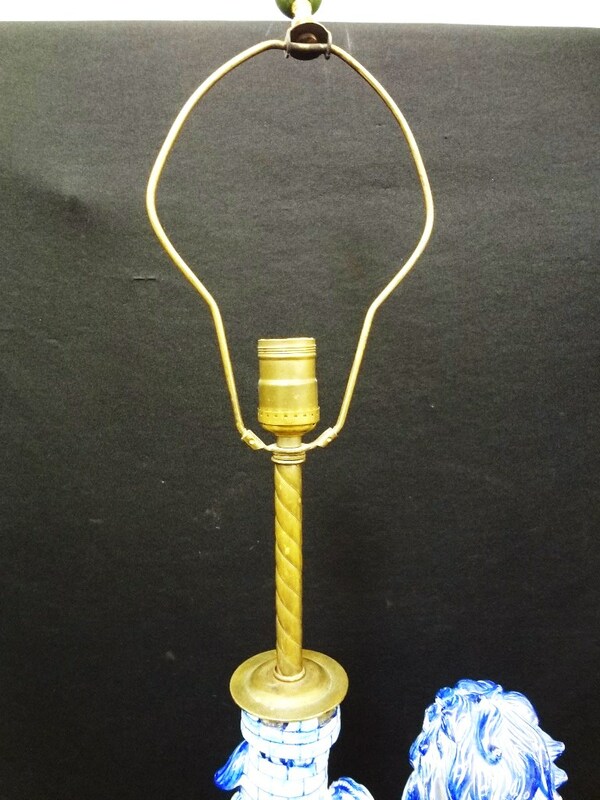 Gorgeous piece that measures 34" tall to top of finial, 16.5" tall faience piece, 10.5" wide, 8.5" deep. 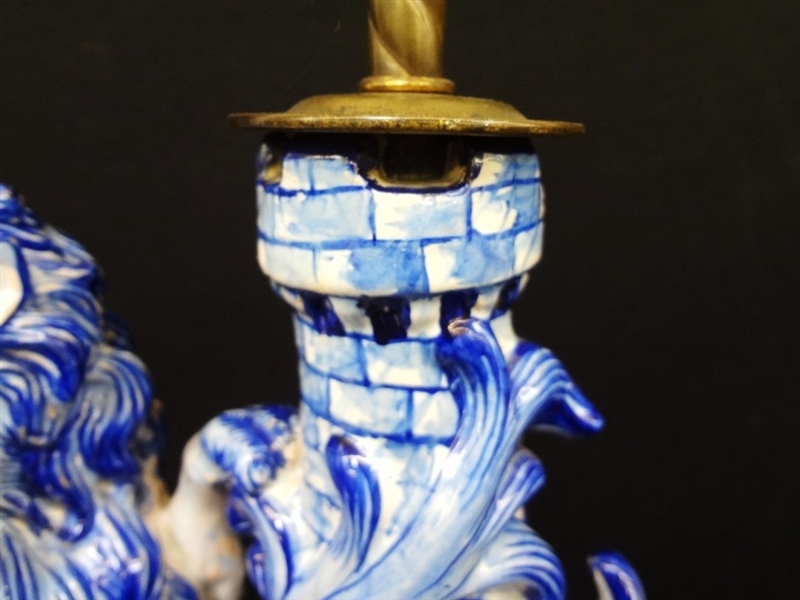 There is a small chip off the knight's feather in his cap, but no other condition issues. 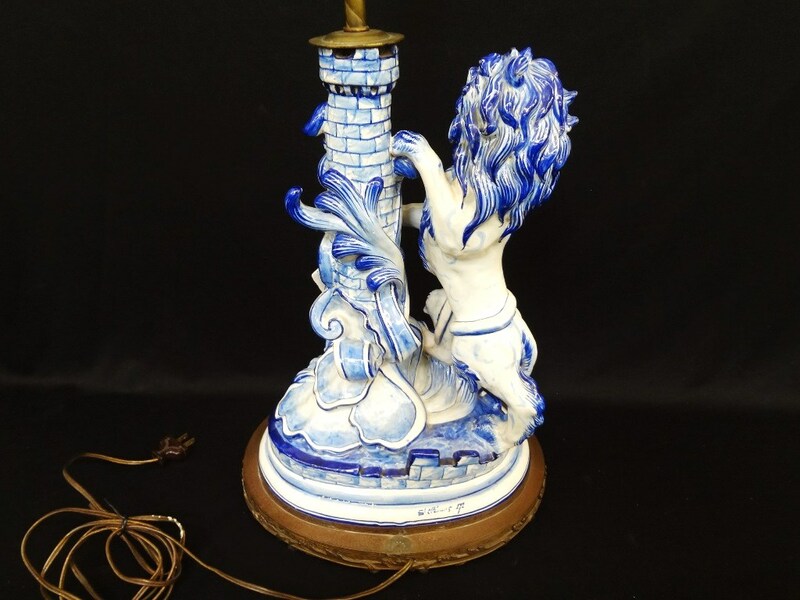 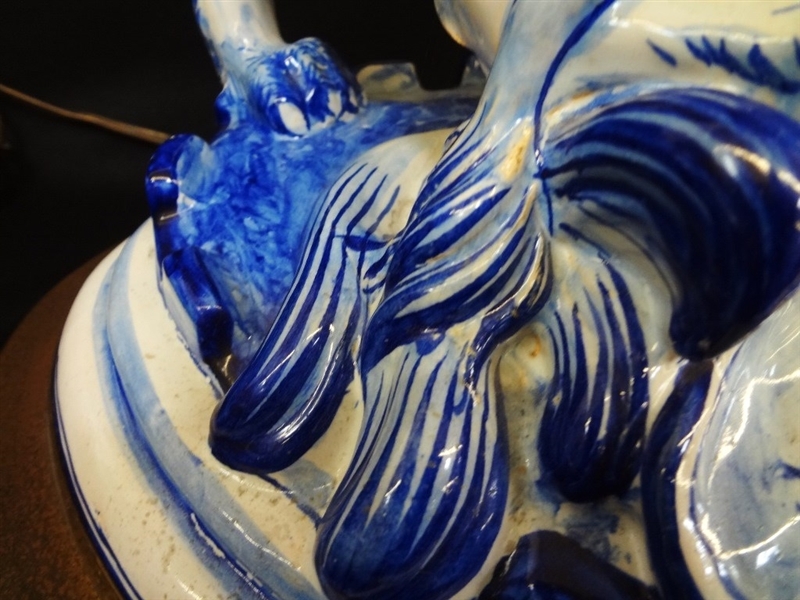 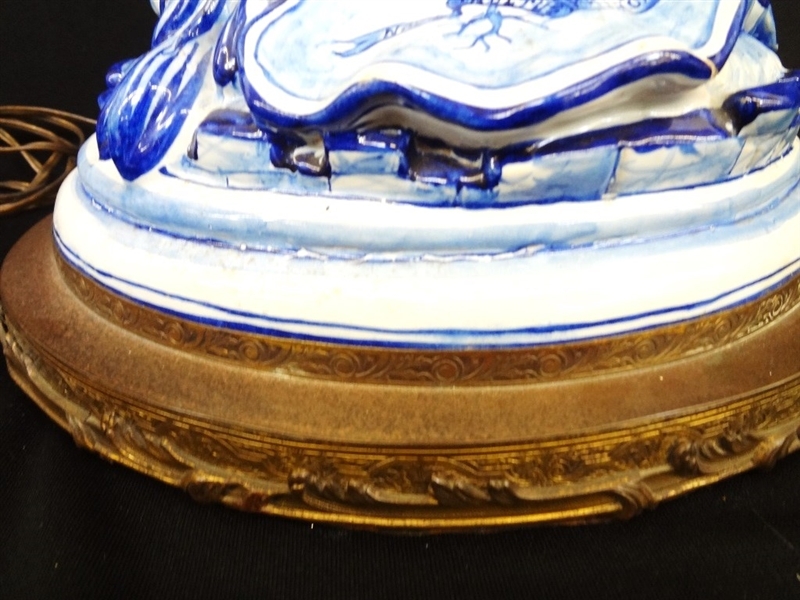 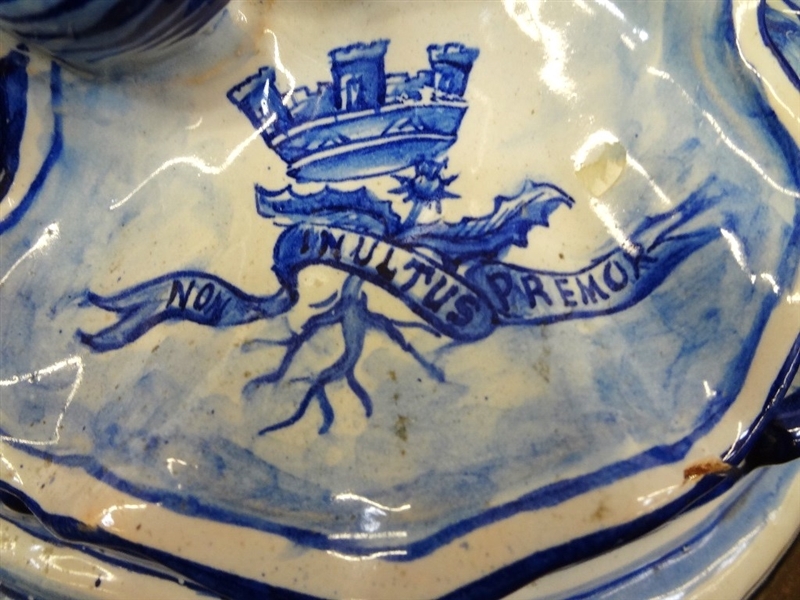 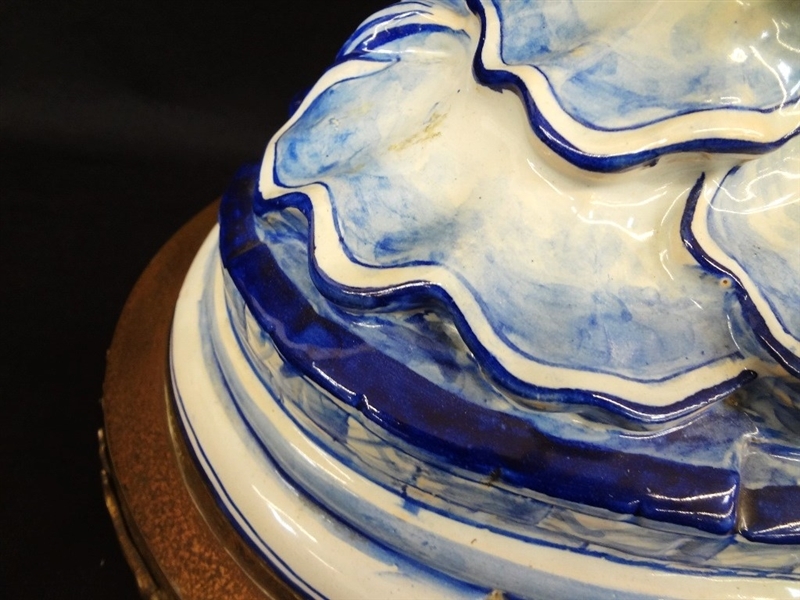 A stunning deep blue and white faience piece. 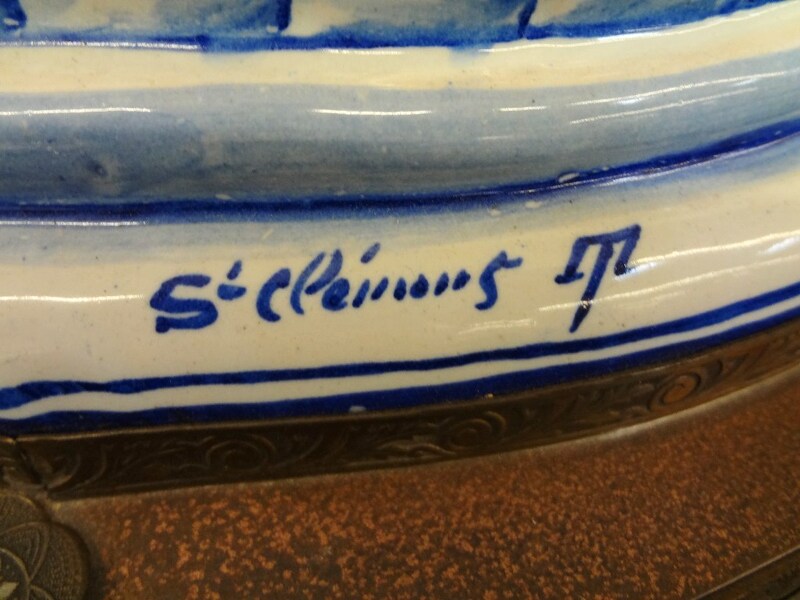 Signed on the back.